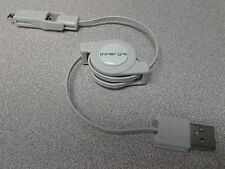 This is a micro/mini USB charging cable for Apple Iphones, Ipods and Ipads. Also for Blackberry, HTC, smartphones, tablet PC's, mp3 players and more. For Motorola MZ617 XYboard Tablet. Works perfectly with the Motorola MZ617 XYboard tablet. - Motorola MZ617 XYboard Tablet. Works perfectly with the BlackBerry PlayBook Tablet. Also Compatible with Blackberry Device that has a micro USB Charging Port. Excellent working condition. Barely used. NEW OEM ORIGINAL RIM BLACKBERRY DATA CABLE. ORIGINAL Blackberry OEM Product Not after Market! THIS IS AMINI USBCABLE. DO NOT BUY IT IF YOU HAVE A NEWER PHONE USING MICRO USB PORT. ONE CABLE ONLY. Does not fit old Mini USB port phones. Picture is for reference only, product condition may differ from the picture. ONE headset ONLY. 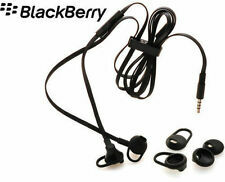 T his is the latest Blackberry design premium quality headphone with flat wire and answer/end call button. ORIGINAL Blackberry OEM Product Not after Market! No exceptions! Earpiece Design: Earbud (In Ear) MPN Colour: Black Earpiece: Double. Type: Headset EAN ONE headset ONLY. ORIGINAL Blackberry OEM Product Not after Market Copy! Microphone: Built-in Wireless Technology: Not Applicable. T his is the latest Blackberry design premium quality headphone with flat wire and answer/end call button. ONE headset ONLY. ORIGINAL Blackberry OEM Product Not after Market! COLOR: WHITE. Blackberry OEM Charger PSM04A-050RIM(NY) 5V 700mA in good condition. Free shipping!! Located in bin #C221. If you are not completely satisfied with the item we will issue you a full refund!! For your consideration an ALTEC LANSING 6' Rugged Micro USB Cable Cable Black Android, Samsung, Blackberry. New in the box rugged cord color of the cable is black. Located in New Braunfels, Texas. Previously used with general wear. Item may have scuffs and scratches. See pictures for details. Dock only. Dual Port Design, Adaptive Charging System. Sophisticated circuit design with over-heated, over-current, over-charging protection. Color: White. Charging will be automatically stop when battery is full. This is the latest Blackberry design premium quality headphone with flat wire and answer/end call button. ORIGINAL Blackberry OEM Product Not after Market! 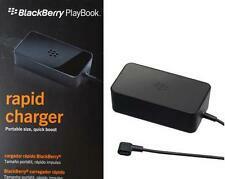 Advanced internal circuitryprevents your 4G LTE BlackBerry PlayBook fromovercharging and short-circuiting. -Compatible with 4G LTE BlacBerry Tablet 32GB (Cellular Wi-Fi) and BlackBerry PlayBook Tablets (WiFi) 16GB, 32GB & 64GB. No Other Cables or Components Included. Used, and tested to be found in good working condition. NurTech Technology, LLC, was established in 2006. Our Warranty Policy. Lightweight and comfortable, the Blackberry Stereo Headset is designed to cut out wind and background noise to ensure great sound quality when you're on the go. Universal 3. mm Stereo headset. Original Blackberry product. 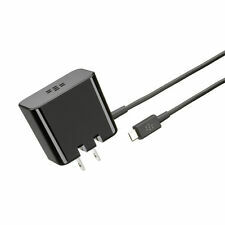 Pricing listed is for one genuine BlackBerry PlayBook OEM Charging Pod. BlackBerry PlayBook Rapid Charging Stand for Playbook Tablet. Optimizing viewing angle. Our orders are processed through an automated system which does not read these notes. Compatible with the BlackBerry PlayBook tablet 16GB 32GB AND 64GB. Specifications are subject to change without notice. While every attempt has been made by RepoGuys in the production of these specifications, possible errors or omissions may still occur. The BlackBerry Charging Pod for your BlackBerry PlayBook is optimized for desktop use at the perfect viewing angle while charging. 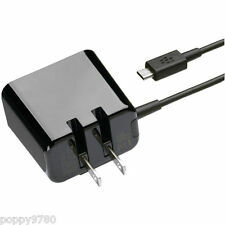 Features:Convenient and attractive way to charge your BlackBerry PlayBook. 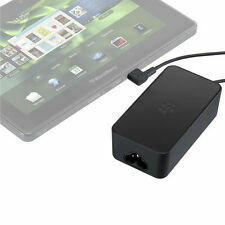 The BlackBerry PlayBook Tablet Rapid Travel Charger is the fastest way to charge the blackberry playbook at 24 Watts. It charges two times faster than a standard BlackBerry Playbook tablet charger. (Trinity 10.1" T101. Overheating Protection with Smart Chip. This lightweight and easy-to-carry adapter is the ideal portable power source for your device. OCP: Over Current output Protection. SCP: Short Circuit output Protection).100% compatibility with the original,more safety than other adapter. Model Number 4: For iphone 6 / 6 Plus / 6S / 6S Plus Cable. Model Number 5: For iphone 5 / 5S / 5SE / 5C Cable. Model Number 6: For ipad mini 2 3 4 / ipad air 1 2 3 / iPad Pro Cable. Model Number 2: For iphone 8 / 8 Plus Cable. NurTech Technology, LLC, was established in 2006. About NurTech Technology! Our Warranty Policy.